Channing Tatum is now on the list of possible Hollywood hunks who could play "Captain America, but "Gossip Girl" star Chace Crawford is out. According to the Hollywood Reporter, Channing has been added to the growing list of actors that Marvel is considering to play the superhero. 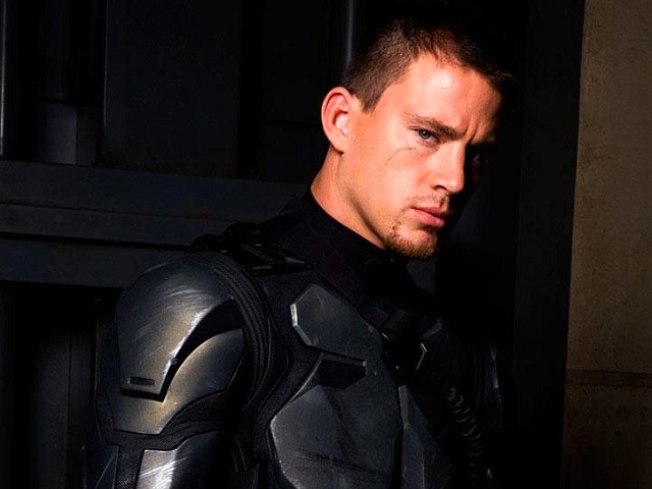 Channing, who has already played a real American hero in "G.I. Joe: The Rise of Cobra," has reportedly only been approached for the role and has yet to see a script. Also in the running is "The Young and the Restless" star Wilson Bethel and "She's Out of My League's "Mike Vogel, who have both reportedly screen tested. "Fantastic Four's" Chris Evan also reportedly read for the part and Marvel is also considering Garrett Hedlund from "Tron Legacy." One actor who won't be raising the star-spangled shield is "Gossip Girl's" Chace Crawford. "I am no longer in the run for the role as Captain America. Best of luck to who they choose for the role," he Tweeted on Monday. Keira Knightley is also reportedly being considered for the female role of Betsy Ross.